WHAT: STEAMER WRECK | WHERE: LAKE CHAMPLAIN, USA EXCAVATION: 2009 | DATE OF WRECK: A.D. 19TH C.
With collaboration from Lake Champlain Maritime Museum (LCMM) and funding from National Geographic Society and Waitt Foundation, the first phase of this INA project was able to take place for in 2009. As the earliest remains of a steamer to be found in Lake Champlain, Phoenix represents an important archaeological resource to LCMM, who helps manage the underwater cultural resources in Vermont. 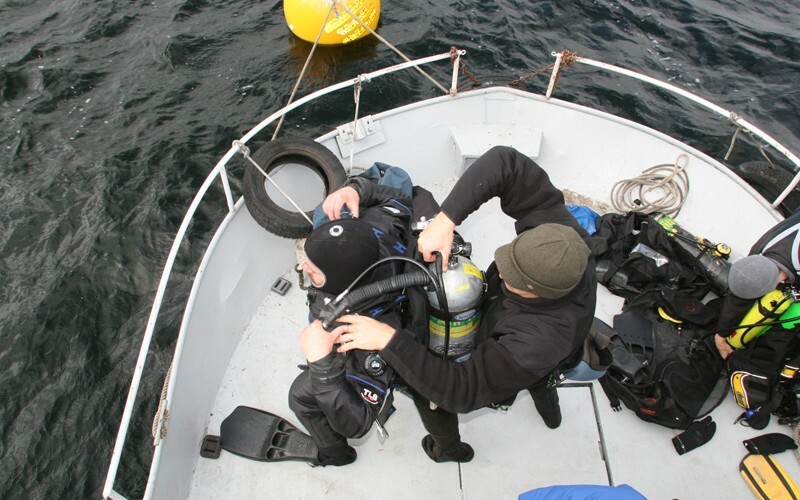 Dive operations and hull recording took place at the Phoenix site between 28 September and 7 October 2009. The crew typically left Stave Island in research vessel Neptune at 8:30 am daily. The first part of the project was spent recording the offsets of the extant hull timbers, from the intact keelson to the outer extremities of the surviving frames. This data was obtained in order to create a site plan and get an idea of the extent of the hull. Digital goniometers in underwater housings were used to record the angles of the frames in order to reconstruct the lines of the vessel. Some team members also recorded basic features, such as variations in keelson thickness, and plank thicknesses. The second part of the project was an effort to capture high definition video footage of the wreck site and create a photomosaic of the remains of Phoenix. The existing length from stem to stern is 127 feet, and maximum width of the site is approximately 28 feet. The floors and frames are structurally sound (except for extremities) and in many cases the frames curve upwards at a considerable height off of the lake bed. 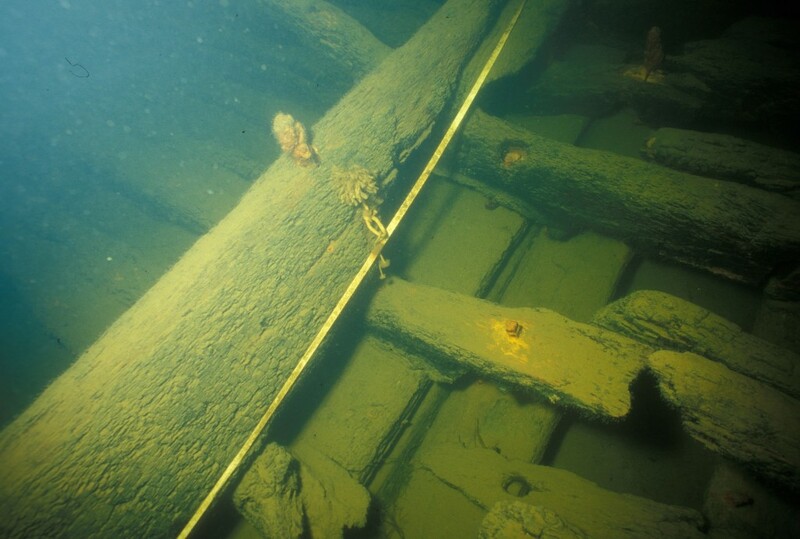 In addition to the well-preserved frames, the keel, keelson, ceiling planking, outer planking, stringers, stem, sternpost, deadwood, and bow cant frames are well preserved. ABOVE: Phoenix hull remains (Photo: INA, by P. LaRocque, 2009).